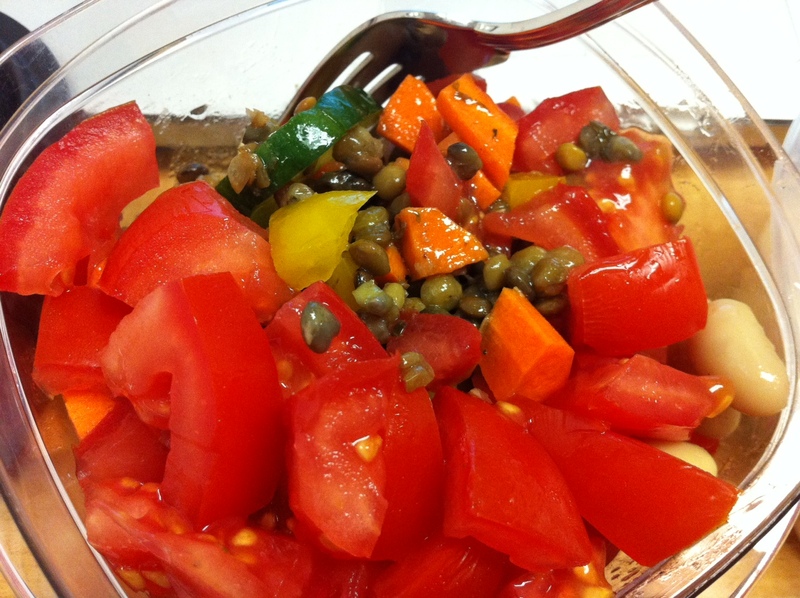 This past week I made some lentil salad for lunch. This is one of my go-to vegetarian salads. It’s super convenient for lunch since it can be served room temperature and has a ton of protein in it. You can find the recipe here. I added a tomato in the morning before leaving for work. I also mixed things up and added a Turkey Wrap one day. This was an easy and delicious way to throw a sandwich together and is just a little bit different than the usual bread. 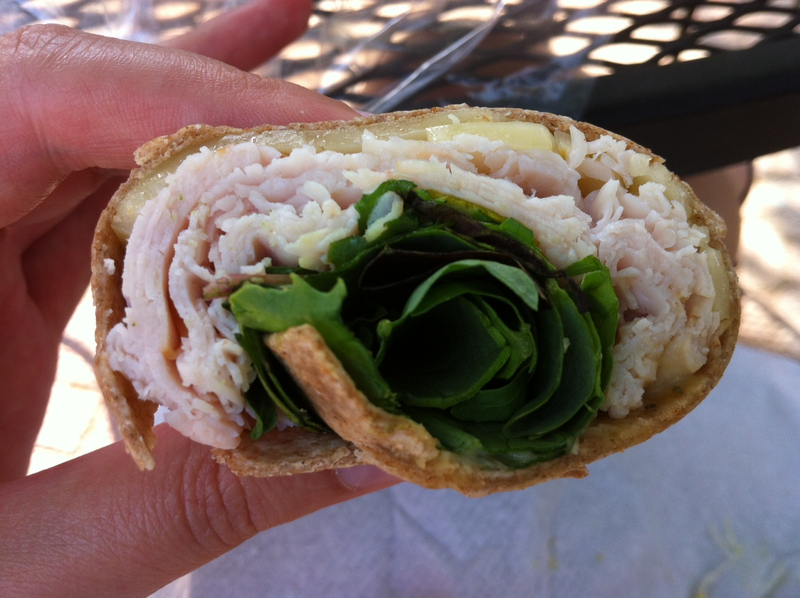 For the Turkey wrap I added pepper-jack cheese, smoked turkey, a handful of spinach, and some hummus on a whole wheat tortilla. Delicious and versatile.